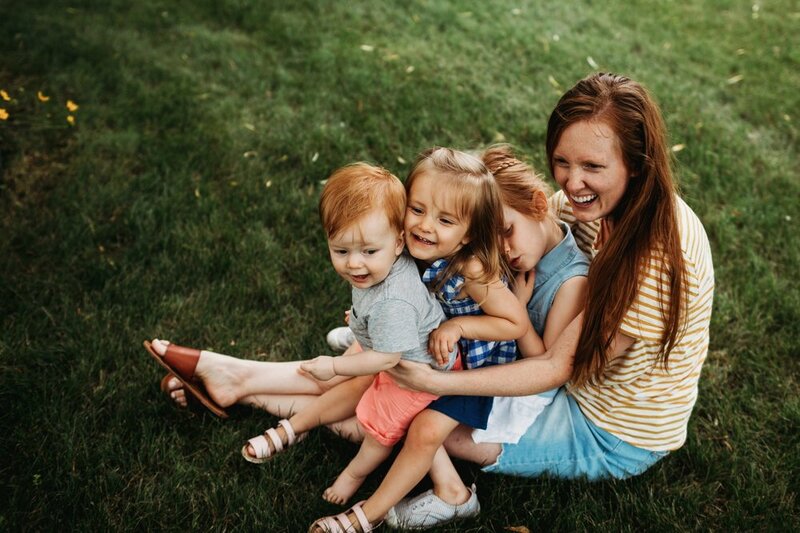 This lovely mama contacted me a few months back requesting a film + photo session for her family. We booked the session and I sent her the pre-session questionnaire (something I send to all clients who book an in-home film session - it allows me to learn more about them and what is most important to capture). I got the questionnaire back and just smiled so big. Her description of her family alone, what this meant to her, and what she wanted to capture just about brought me to tears. In that moment I again realized that this is exactly why I do what I do. To capture memories in the most meaningful way. To preserve your story, as you are right now. Because all too soon today will become yesterday... and our memories will begin to fade. In the thick of parenting young children, the days pass by like years and the years by days. But one day we will leave the fog of young motherhood (or fatherhood) and these fleeting moments will be only a distant memory. Love and live in today. Capture today. Document today. Thank you, Wixo Family, for the honor of capturing your story.